"You don't get a choice, do you?" she asked. "About being a Shadowhunter. You can't just opt out." "No," he said. The door swung open, letting in a blast of muggy air. The carriage had drawn to a stop on a wide square of green grass surrounded by mossy marble walls. "But if I had a choice, this is still what I'd choose. "- City of Bones, page 177. What is a Shadowhunter and why can't he get out of it? 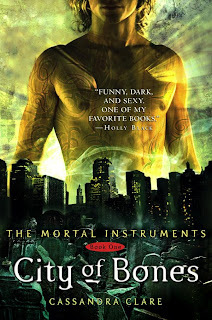 For my first Teaser Tuesday, I am using a quote from City of Bones by Cassandra Clare. I haven't read to this part yet, but it sounds interesting. 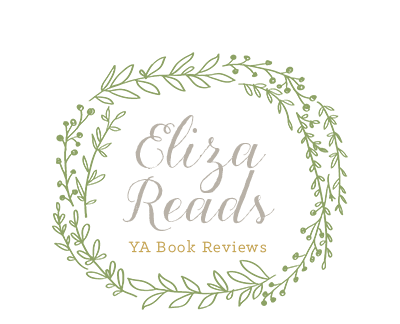 I hope to finish City of Bones this week and post a review of it. City of Bones is the first in the series by Cassandra Clare. Check put the rest of the series and updates from the City of Bones movie on her website, www.cassandraclare.com!